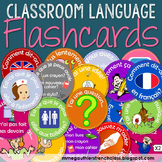 Positive Teacher Language is one of the essential components of Responsive Classroom. 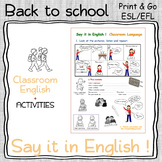 Use this handout, post it in several places around your room, around your school, to Reinforce, Remind and Redirect your own Teacher Language! 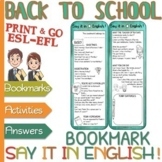 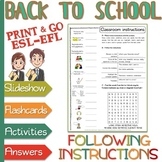 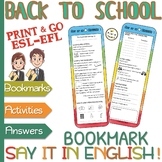 Classroom language - FOLLOWING INSTRUCTIONS - ESL EFL ELL "Back to school"
This is a colourful and fun PowerPoint multiple-choice quiz which practises understanding and using classroom language. 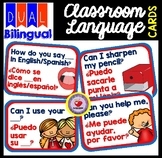 The presentation focuses on target language for students to use in lessons.